Robert Antio is an accomplished instructor and long time practitioner of Chinese Martial Arts specializing in Traditional Northern Shaolin Kung Fu. 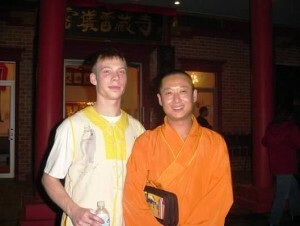 His endeavors have led him to attain a fine pointed knowledge of not only Shaolin fighting forms and techniques, but Tai Chi and internal meditative arts as well. The humble roots of his 15+ years of experience can be traced back to the Shao-lin Center for Martial Arts in North Olmsted, Ohio under the instruction of accredited Shaolin Kung Fu instructor Si-Gung Frank Versagi, whom has been both trained and tested at the Shaolin Temple in the Henan Province of northern China on three separate occasions. Si-Gung Versagi holds a 6th Degree Black Sash in Chinese Martial Arts and a 3rd Degree Black Belt in Shorin-Ryu Karate. Since 1988, he has trained in the Chinese Martial Arts, including Shaolin Kung Fu, Yang Style Tai Chi, Qi gong, Bagua, Xing-Yi, Iron Palm, and Iron Body. 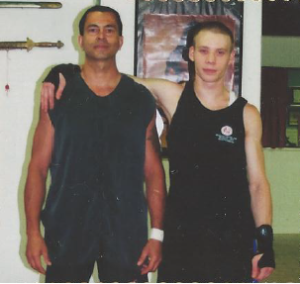 After Instructor Antio gained his black sash from the Shao-lin Center for Martial Arts, as well as certification for instruction, he then relocated to the city of Houston, Texas to enroll at the Houston Shaolin Kung Fu Academy under the tutelage of the venerable Shi Xing Hao, a 32nd generation warrior monk. Shi Xing Hao began training in Wushu and Kung Fu at the age of 6. By the age of 14, he became a local Wushu Champion and then began formal training at the Shaolin Temple in 1985. He traveled the world with the Shaolin Temple Monk delegation performing demonstrations of the strength and dedication that is Shaolin Kung Fu until he was sent to America in 1998 to stay and spread Shaolin Martial Arts from the roots of the Shaolin Temple. While attending Shi Xing Hao's school, Instructor Antio devoted his time to an introspective study of Traditional Northern Shaolin Martial Arts as well as Tai Chi, meditative research, and Chi Gung concept. To further his ability to enrich his students he also committed himself to developing his teaching skills under the close supervision of Shi Xing Hao himself. The Cleveland Shaolin Kung Fu Academy is a member of the USA Shaolin Kung Fu Federation which was founded by none other than warrior monk Shi Xing Hao himself. 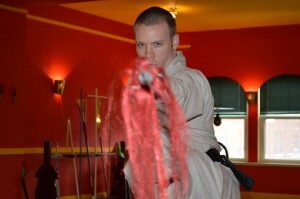 The circumstances of Instructor Antio’s experiences have granted him the ability to offer a diverse lesson curriculum that includes, but is not limited to, Traditional Northern Shaolin hand forms, 18 weapons of Shaolin, hand to hand combat training, self defense techniques, women’s self defense, body conditioning, Tai Chi, and meditation. He also instructs and performs in the ancient and celebratory tradition known as lion dance. This exciting activity, which is typically performed at Chinese New Year, weddings and business openings, is not only enjoyable for people of all ages to witness but also a fun and engaging learning experience for both children and adults which promotes teamwork and character while building coordination as well as physical strength. From a traditional standpoint, contribution and involvement with the community has always been a key element to the existence of Shaolin Martial Arts. To exemplify this principle, Instructor Antio has worked to involve himself by associating with organizations such as community youth groups and volunteer teaching programs. He also believes that this connection with the community can provide an enriching program for a more diversified group of dedicated students which can benefit the lives of both those well off and those in need. Instructor Antio’s professional commitment lies in the belief that Shaolin Martial Arts is an ideal means to promote health and longevity, as well as to develop a sense of personal safety, intuition, and self confidence in a dynamic and ever-changing world.